One of a kind custom built 7, 700 sq. ft. 1 1/2 story on a private 10.6 acre wooded lot on the Crawfish River. Main living space offers large kitchen/dining, living rm w/fireplace, huge craft room/office, main level mstr w/custom tile shower & soaking tub, sun rm, laundry rm, 3 additional br's & loft plus a 2, 000 sq. ft. fin LL w/rec room, exercise & bath. Second living space consists of a main level mother-in-law suite including 2 BR's, tiled sun room, 1 1/2 baths & living room. 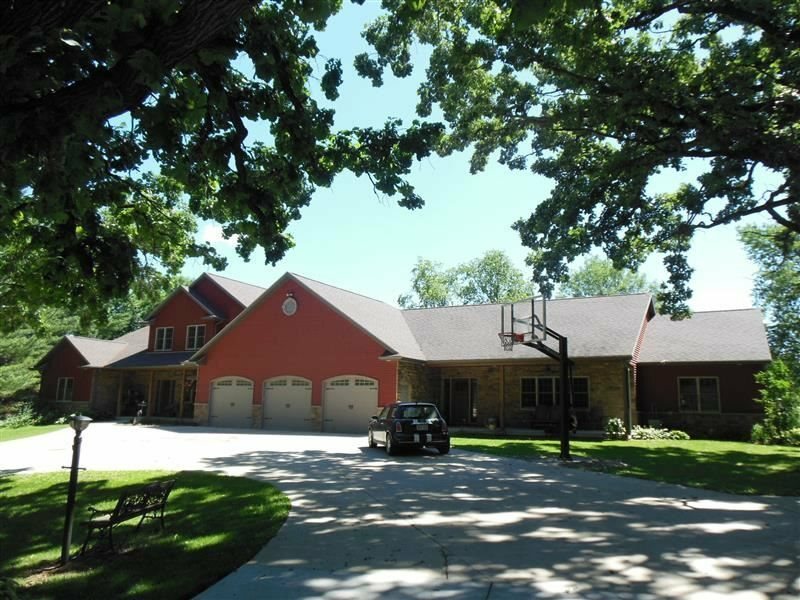 Huge heated attached garage, detached heated shop & some addl outbuildings including steer shed, chicken coop, and more. A must see! Directions: Hwy 19 East Past Waterloo & Portland, North On Bb, Left On Austin Left On River Oaks.